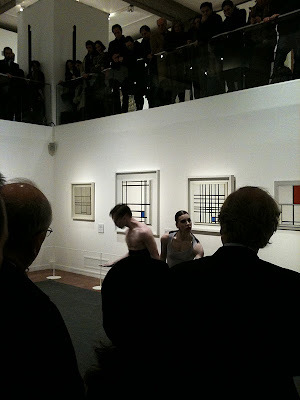 We had the pleasure of being invited to an evening of Dutch art and dance. 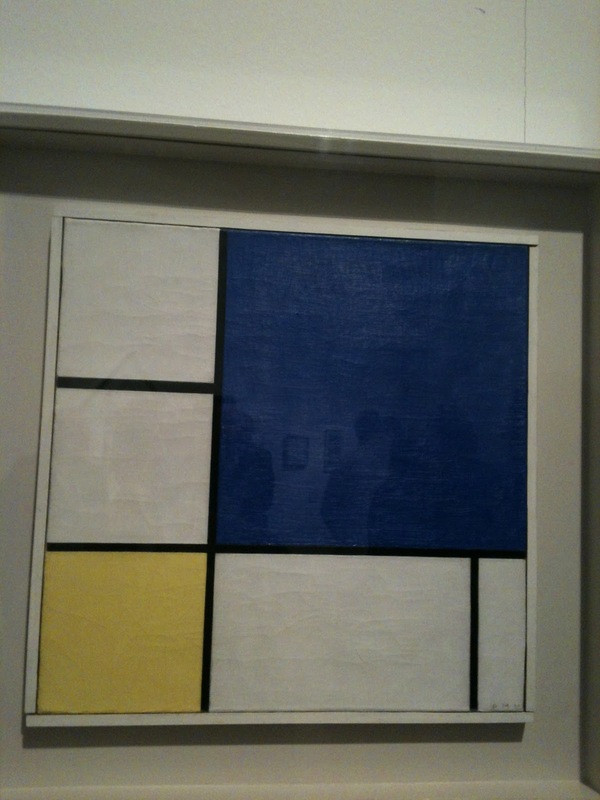 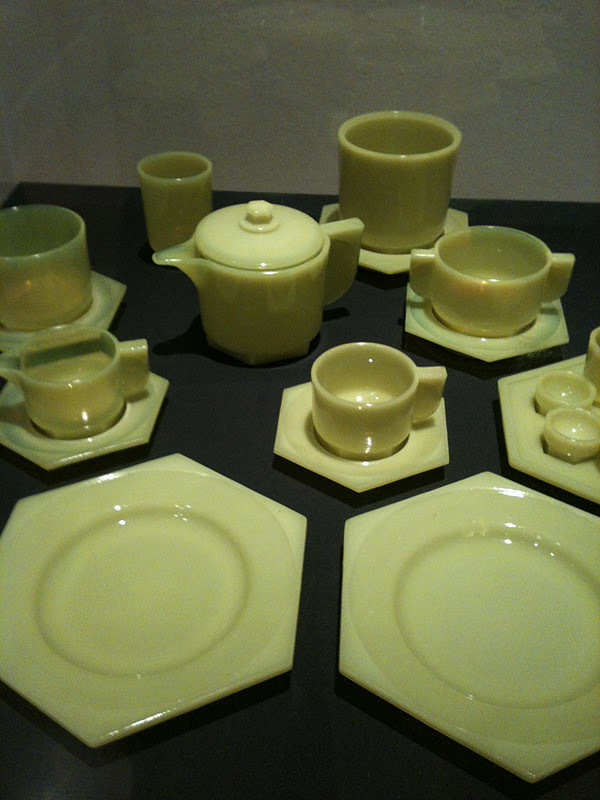 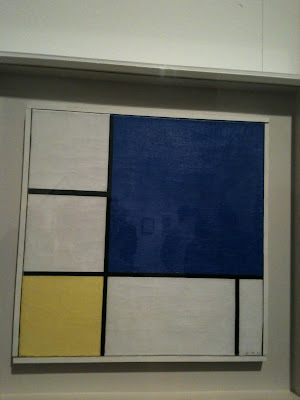 There was a very informative tour of the Piet Mondrian exhibit, "A Perfect Harmony" at the Vittoriana museum. 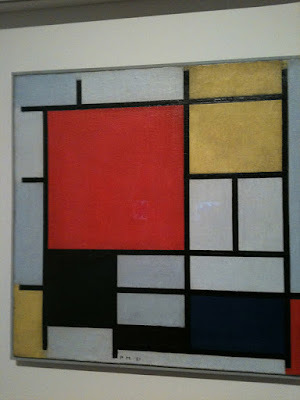 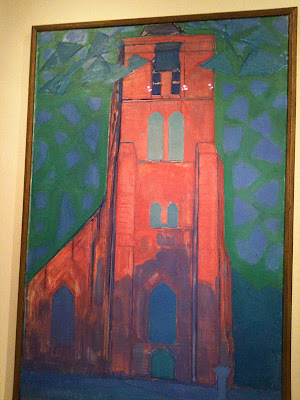 It was very interesting to see the early Mondrians which were completely different from the Mondrian I know. 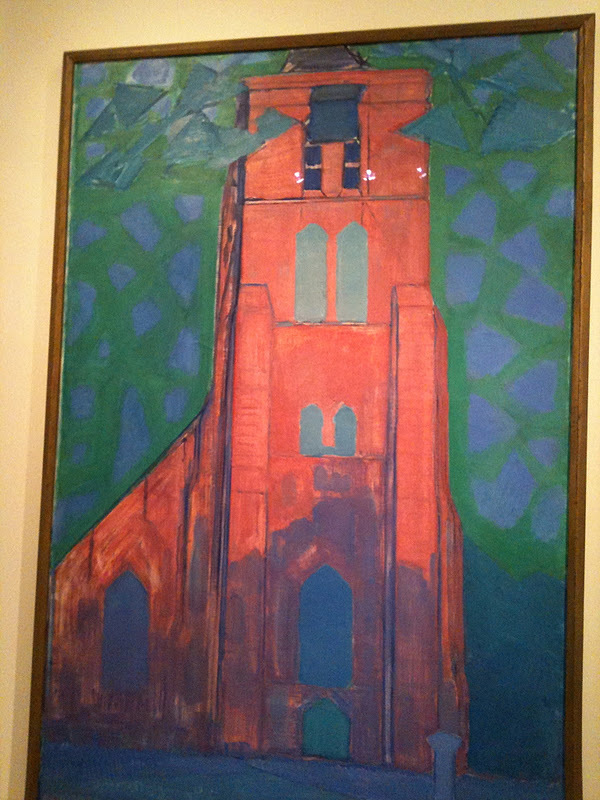 About 70 oil paintings were displayed as well as about 40 works by other artists. 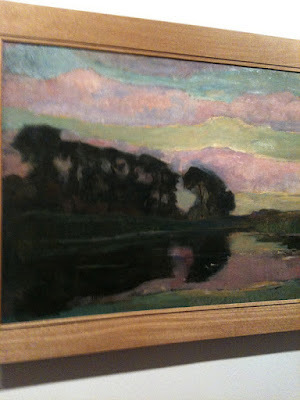 In his later works he wanted harmony, the ideal, and he used only straight lines - horizontal which symbolizes nature and the vertical which symbolizes man, always trying to bring the harmony of nature and man together. Using only primary colors was pure, nothing forced or mixed. Most of the paintings were from the Gemeentemuseum in The Hague. The art and dance was followed by a nice buffet on the roof top restaurant of the museum with a wonderful nighttime view of Rome. 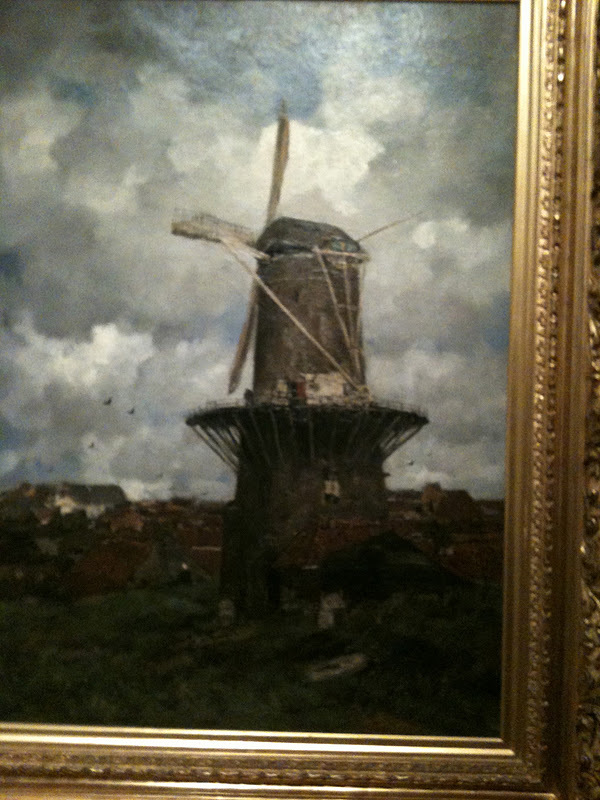 A very nice evening thanks to the Dutch. 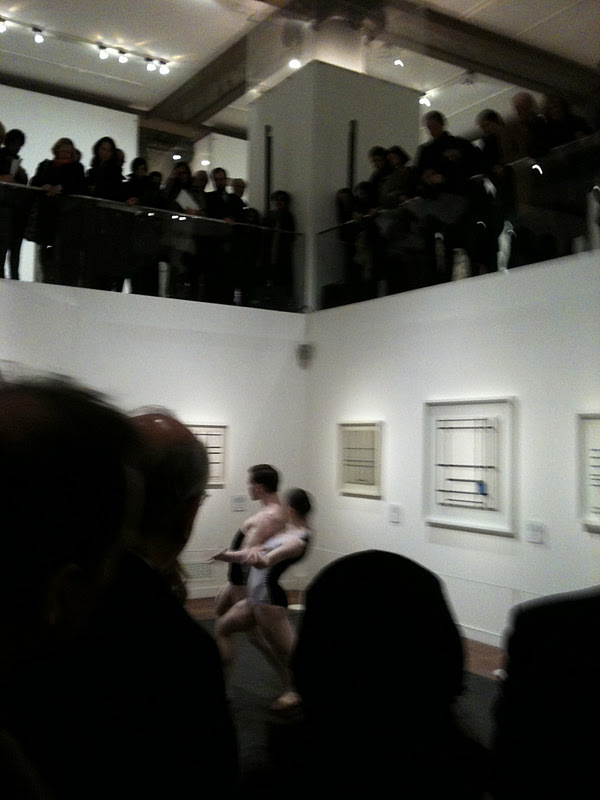 Looks like a great evening of art, dance, and food! :) The early paintings are so different from his famous work, wow.